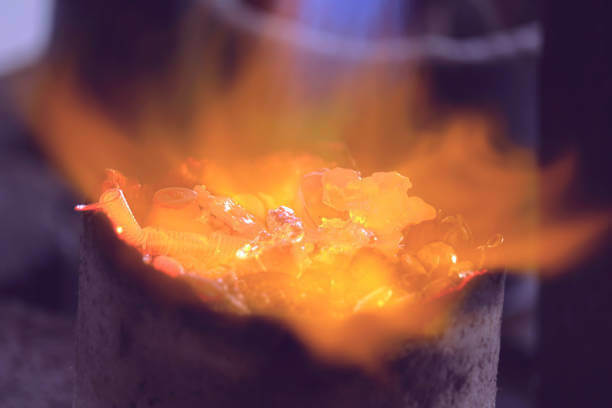 Borax is used as a base in flux when soldering jewellery metals such as gold or silver. It allows the molten solder to flow evenly over the joints. Borax is also a good flux for “pre-tinning” tungsten with zinc – for soft soldering to tungsten. Also used for forge welding flux, brazing flux & a constituent of arc welding flux. Another great use for borax is preparing the crucible for melting by creating a glaze in it. Fill your brand new crucible halfway with Methylated spirits, allow it to soak into your crucible. Concentrate your flame onto the powder until it starts becoming see-through glass gel. Swirl this glass around the crucible until it coats the whole inside & glazes the surface evenly. Then its ready to use! Always be careful when working with open flames, gas & metal- Safety First. Don’t forget sprinkle some borax which will help keep the impurities out of the metal!